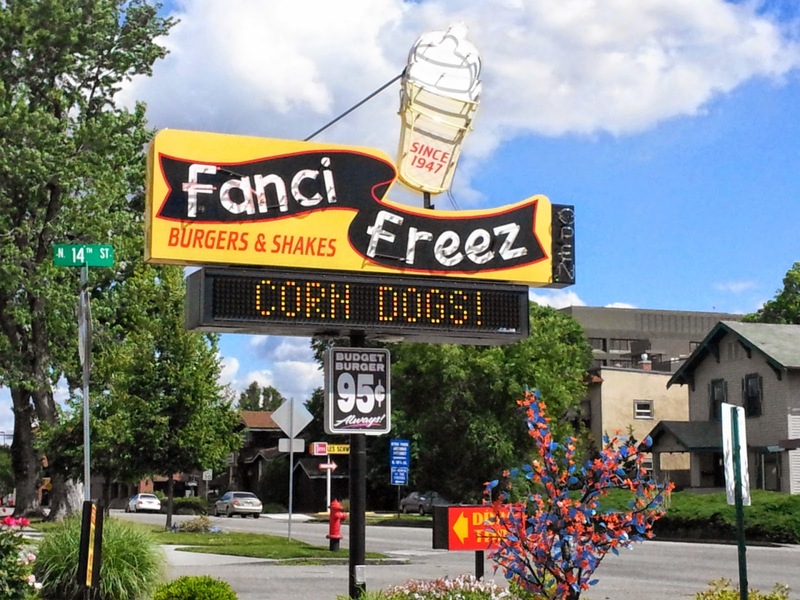 Fanci Freez...what is there to say? If you grew up in this area, as I did, you're probably familiar with them. Hell, I've been going there since I was a kid. 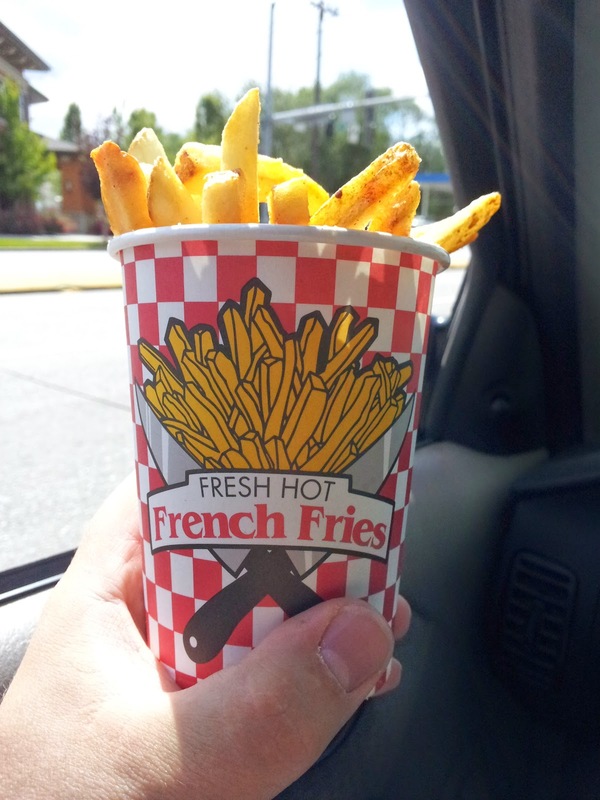 In my opinion, they are hands-down the best drive-in fast food eatery in town. Not for their hot food per se, but the desserts...I've been there so many times that I can't recall a specific anecdote to use as a framework for this review. So, yeah...food. 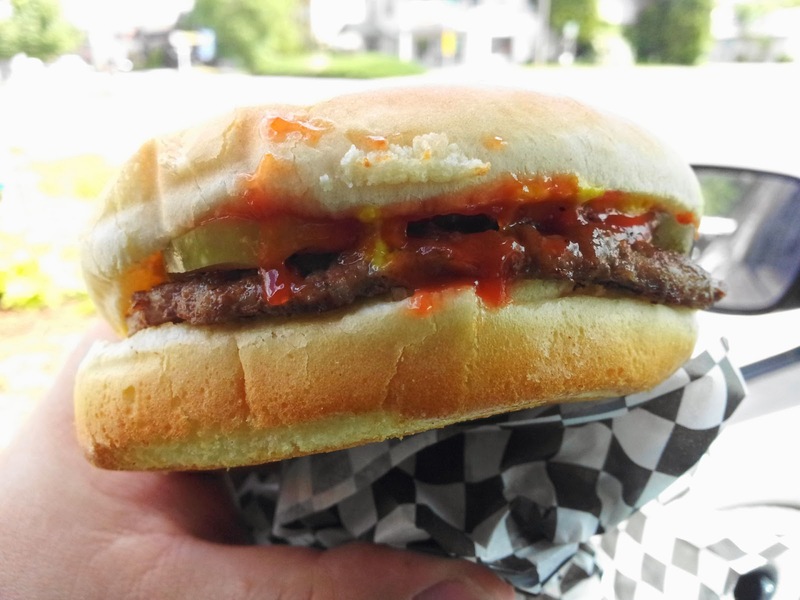 Ah, the Budget Burger. Meat, ketchup, mustard, pickle, bread. Nothing snazzy, but what do you want for ninety-five cents? Kicks the crap out of the standard franchise hamburger, I can tell you that. Fries...golden, crispy, salty, yummy. That's a small order there, just so you know. 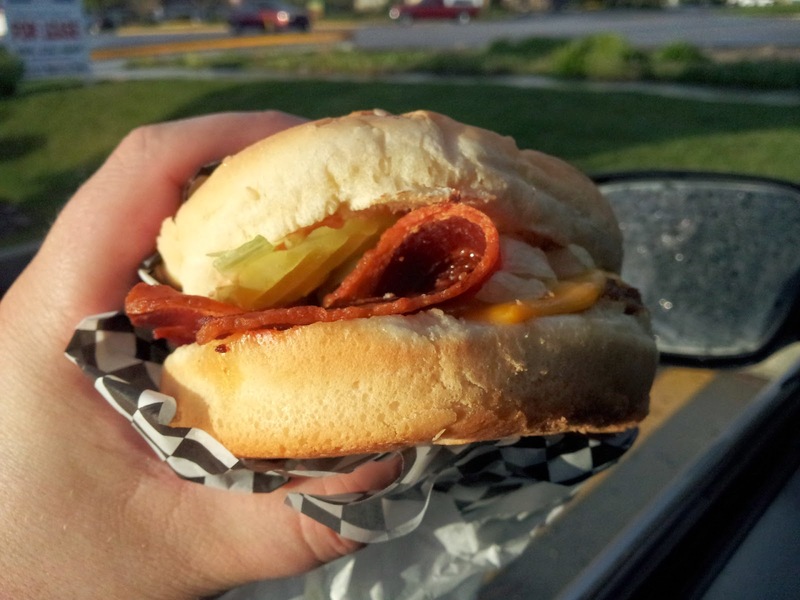 Do you really need a description of a bacon cheeseburger? I'll tell you that the bacon is amazingly crispy, just the way I like it. Some people complain about the bun to filling ratio at this place, and I can see that. I would order a double next time, but this visit happened to be on a Tuesday when the bacon cheeseburger is on special. I'm a big fan of the tater tot, which doesn't get as much love these days as when I was a kid. 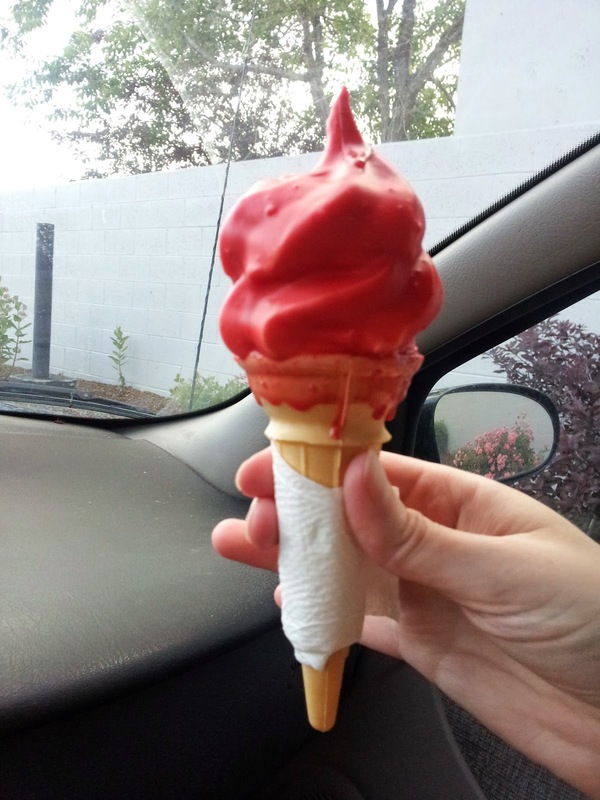 Hell, I used to order Dairy Queen's version all the time. Along with the barbecue beef sandwiches. Both of these things are gone now, leaving me with a craving I just can't fulfill when I'm flipping through TV channels and catch The Outsiders. Where was I? Oh yeah, tots. I honestly don't remember if that was a large or jumbo order. Does it matter? 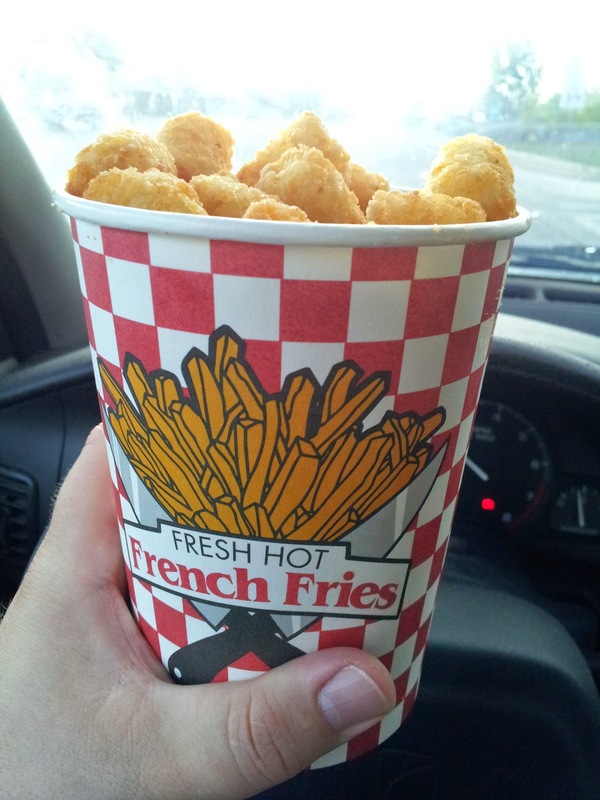 If you need more tots than that, you might not live long enough to make the trip. The fact that the sides are basically served in beverage cups says enough, doesn't it? ...the epitome of calorie bombs known as the Boston Shake. 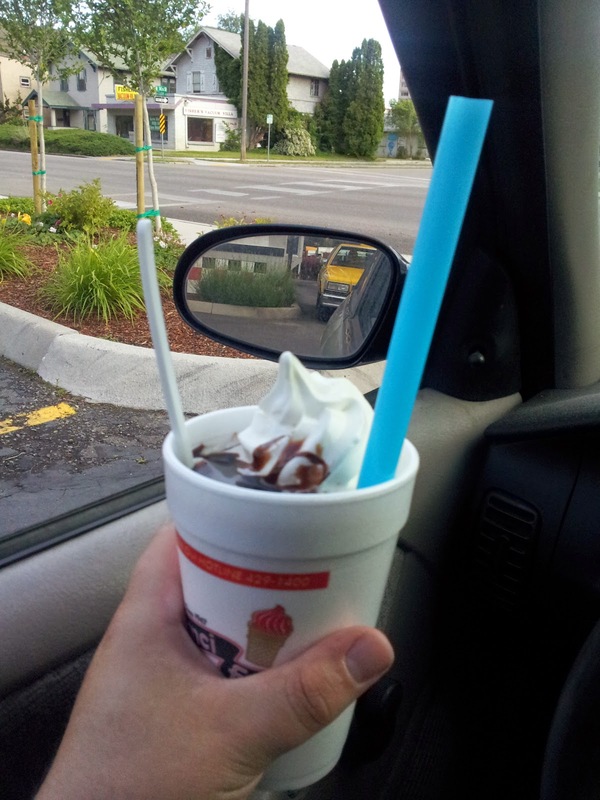 That's a shake of your choice topped with a sundae of your choice. 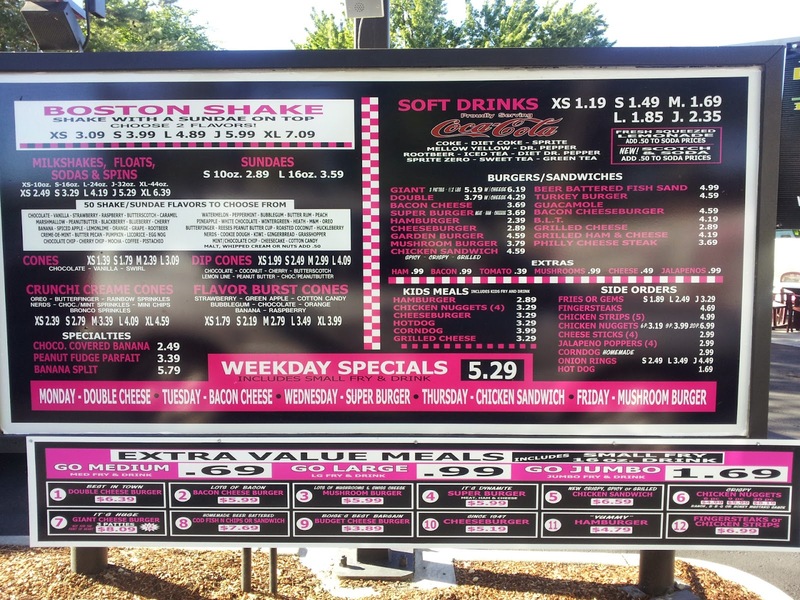 Invariably I choose a marshmallow shake topped with a hot fudge sundae, but all of their available flavors are up for grabs (50 of them last time I looked...don't ask me how many possible combinations that is, I'm not a math guy. Trust me, a small will do you just fine here. Maybe a large if you're really craving sweets. If you're sharing with your sweetheart and can agree on a combination, maybe a jumbo might be a prudent investment. Considering that an XL is 44 oz, I probably wouldn't order that unless I was having a party. To summarize, to the best of my knowledge you're not going to find a better place than this doing what this place does. Food: Very decent, with sublime desserts. 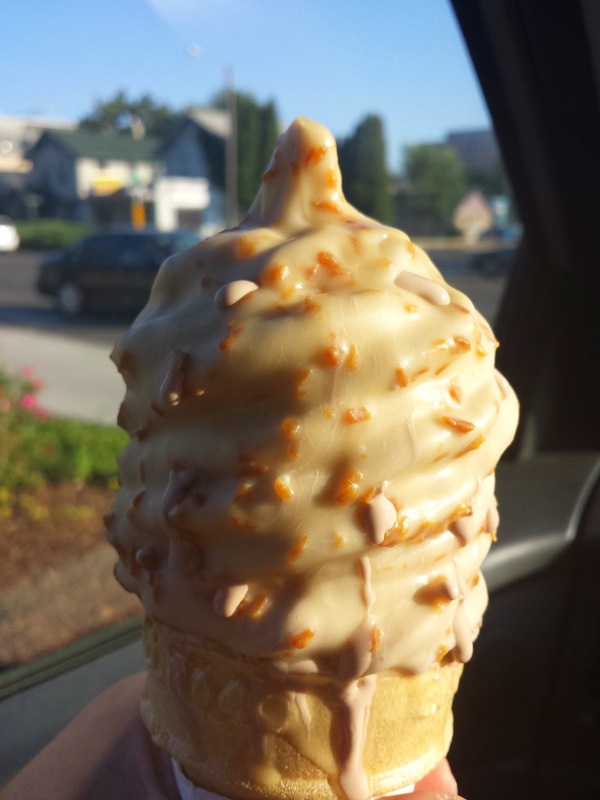 Value: You'll get a lot more bang for your buck than you will at the franchise joint down the street. Service: I've only ever hit the drive-through, but all of those 45 second interactions have been pleasant.